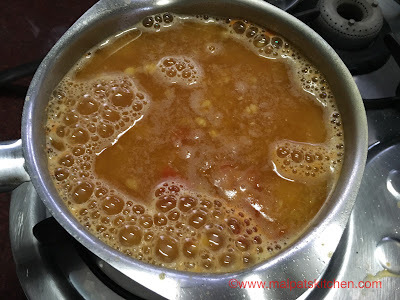 Pineapple rasam is a very flavorful one......I browsed thru several recipes...went over so many cookery books.....then I called a food caterer known to me, asked him for the recipe. 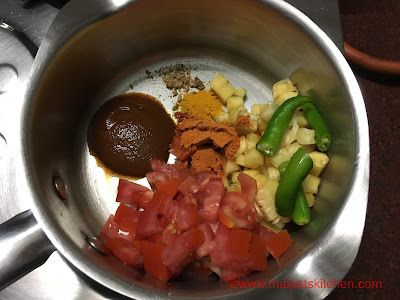 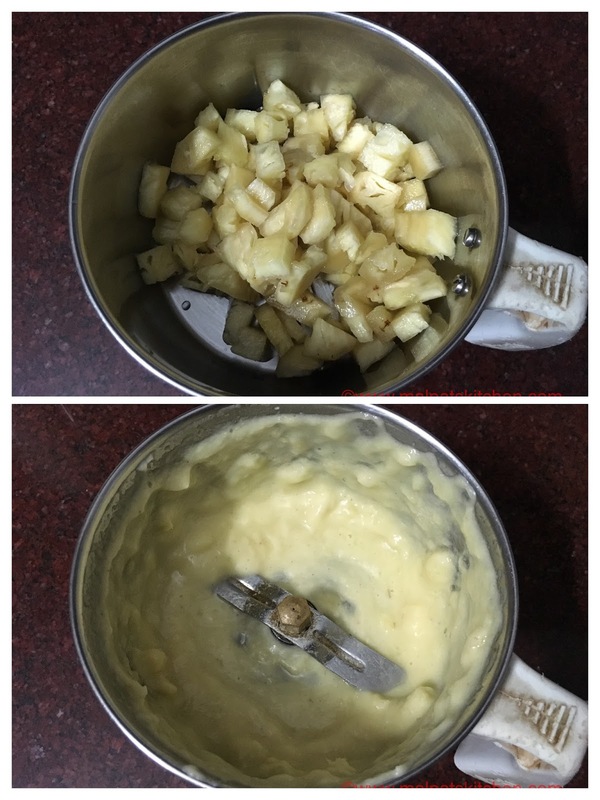 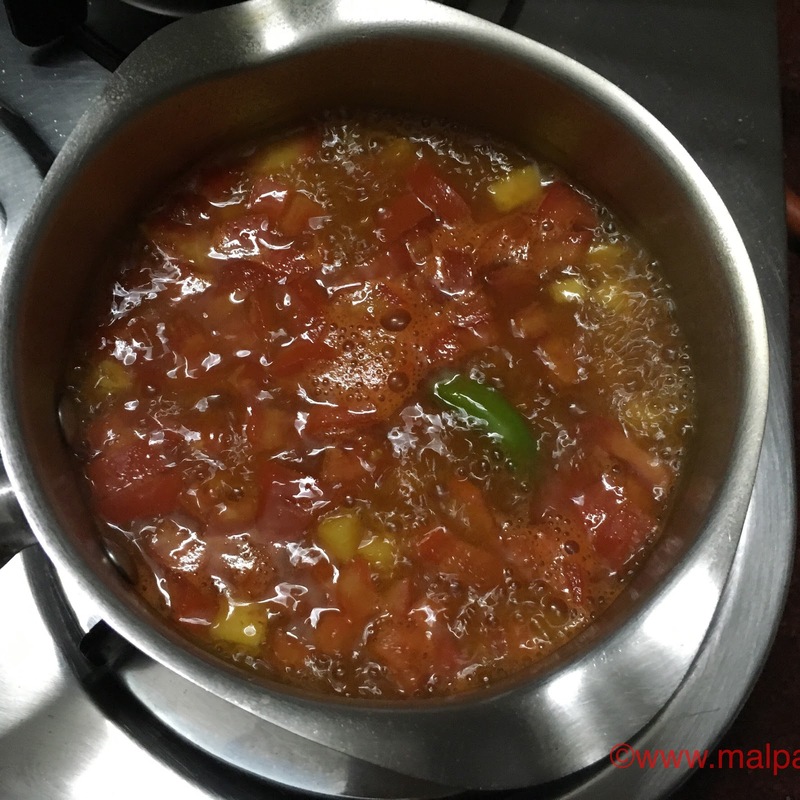 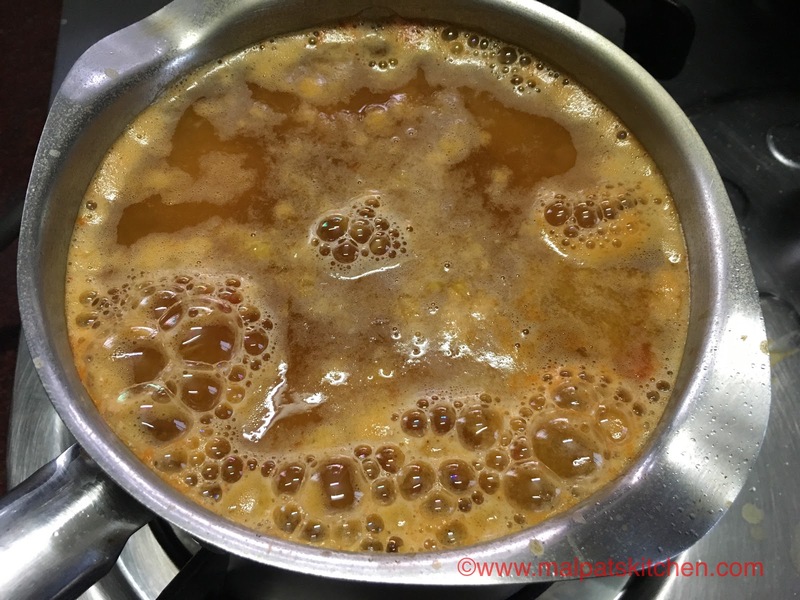 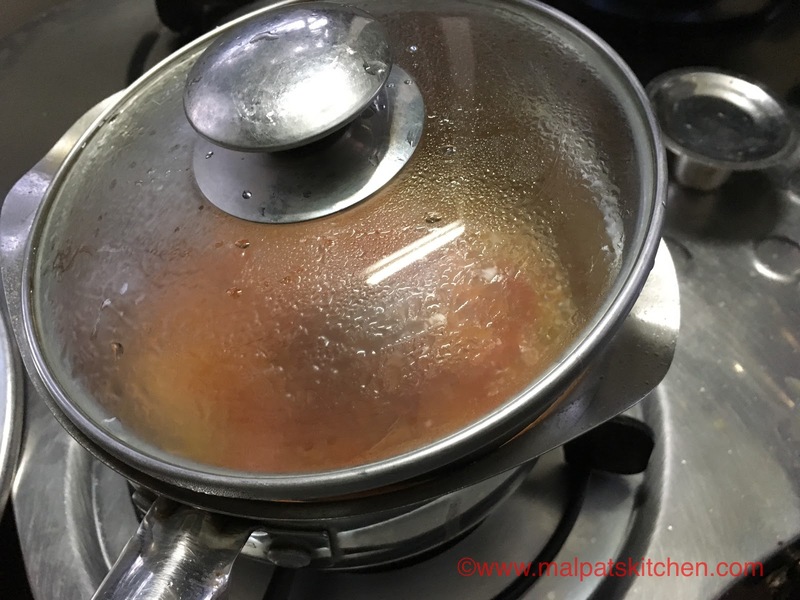 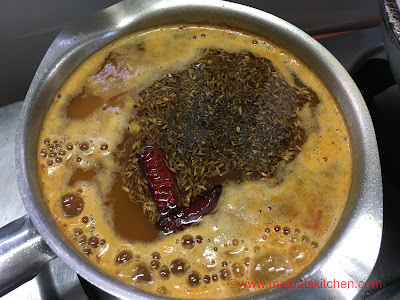 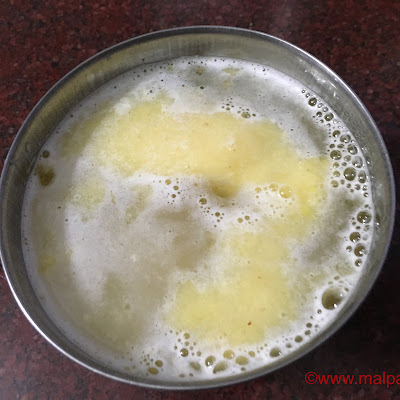 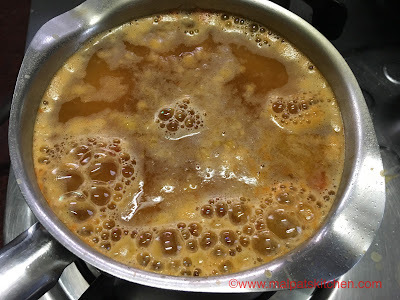 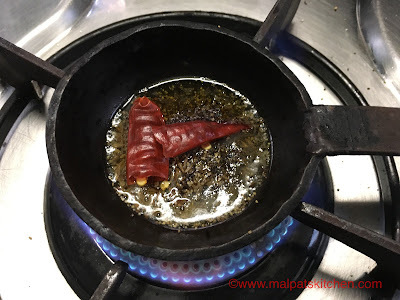 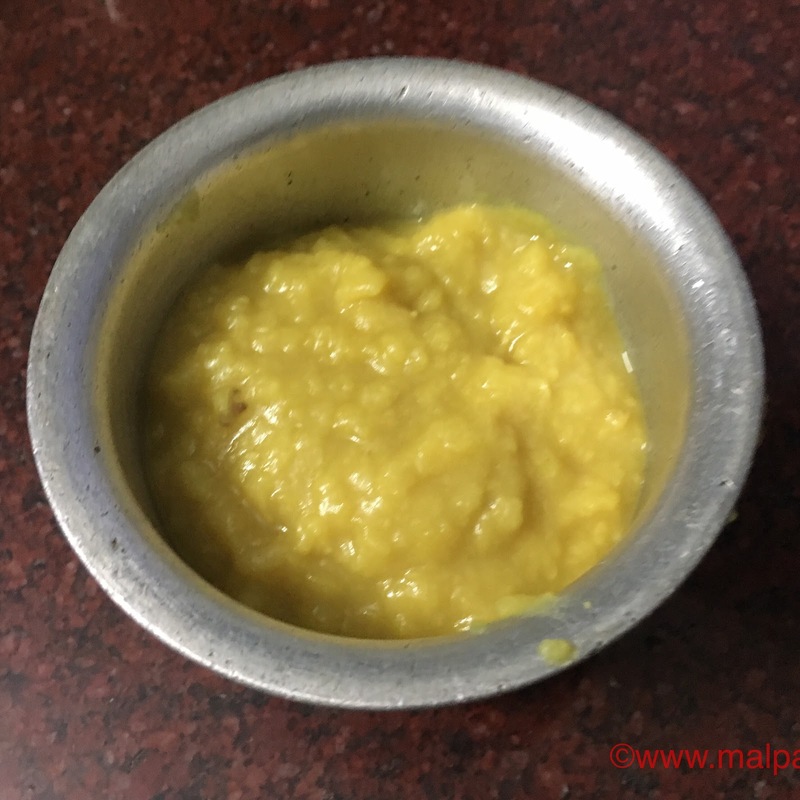 Pineapple pieces cooked, rasam level also reduced considerably, now add the cooked dhal plus pineapple paste mixture, add some more water if need be, to the full level of the vessel. The rasam should only become frothy, it must not be allowed to boil. 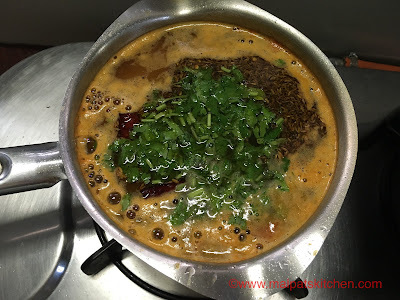 pour on top of the rasam. Serve this flavorful, piping hot rasam with rice, any vegetable of your choice and some papads. 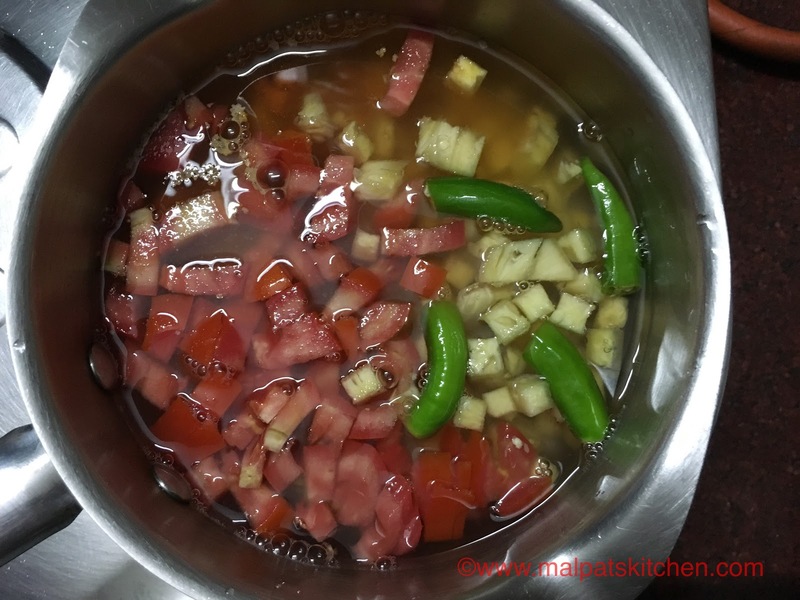 * This rasam can be served as a soup too.